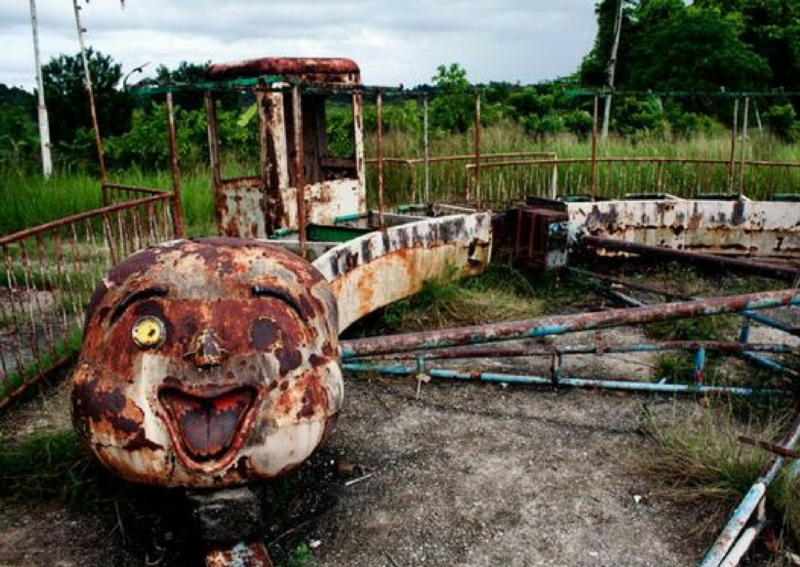 The surreal graveyards of abandoned amusement parks stir our curiosity with their juxtaposition of once exciting energy frozen in time. 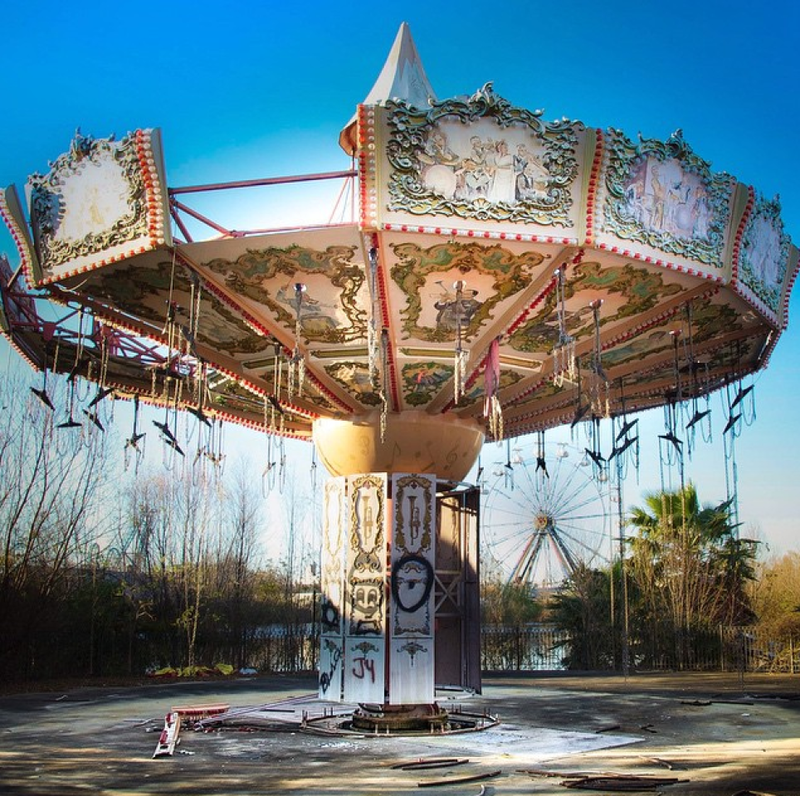 The once brightly colored playgrounds of whirling rides and bizarre attractions were inevitably brought low by some combination of bad planning, negligent management, financial ruin, changing times, natural disaster or even man-made tragedy. 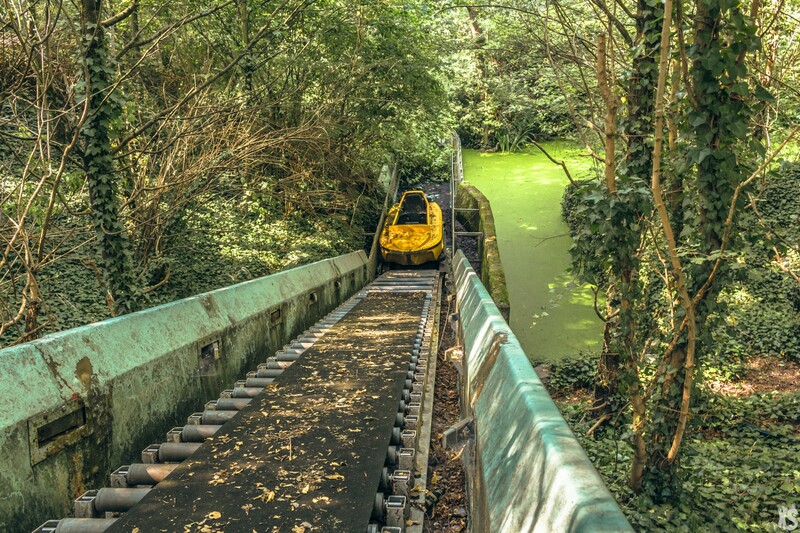 Theme parks that fall into disrepair seem to receive the same fate around the world: rusting roller coasters, overgrown swings and the eerie absence of children’s laughter. 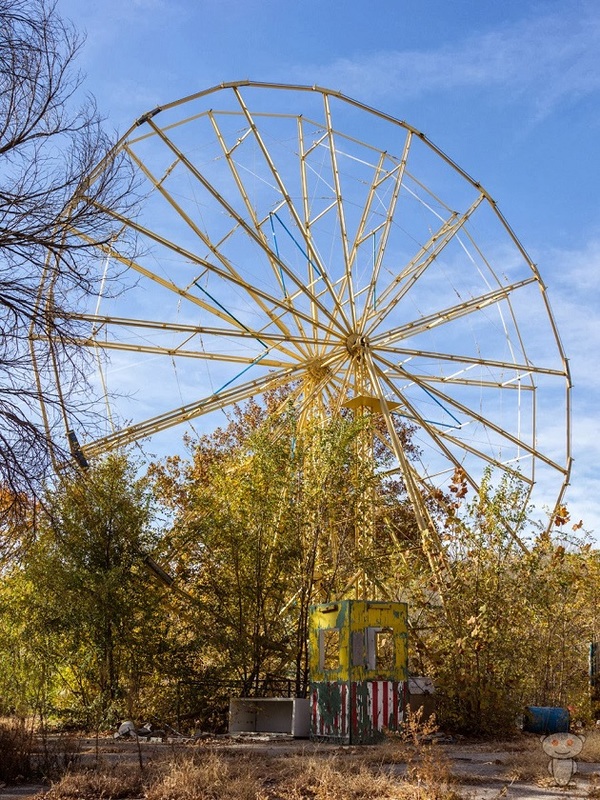 From decaying statues, deteriorating and collapsing Ferris wheels or carousels to rotting still-life portraits with each passing season, these are the theme parks left to the annals of time – a creepy experience that awaits all who enter. 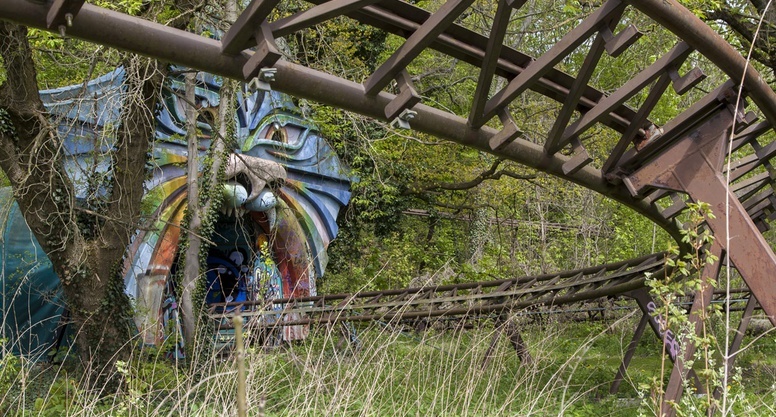 The Spreepark in southeastern Berlin has been abandoned for the last ten years. 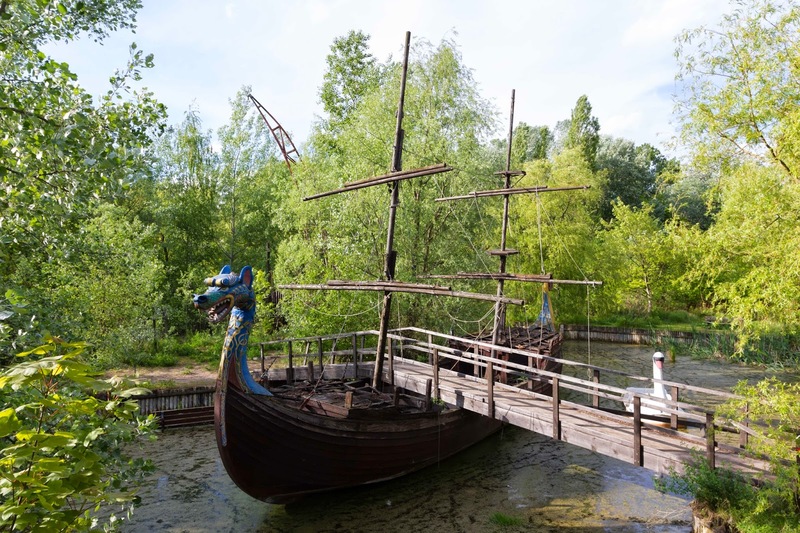 Each part of the park is scattered with remnants from the previous three decades, making a hodgepodge of bizarre entertainment, children’s rides, and life-size dinosaur statues. Originally constructed by the communist government in East Germany in 1969, the park stood until the fall of the Berlin Wall 20 years later. 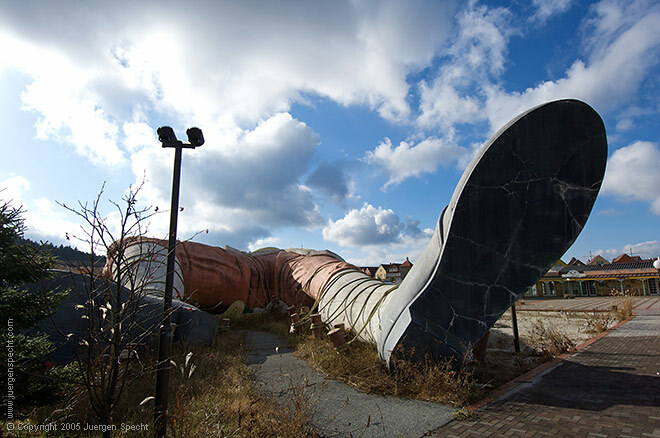 It thrived throughout the communist era but fell on hard times when it was taken over by Norbert Witte in 1991. 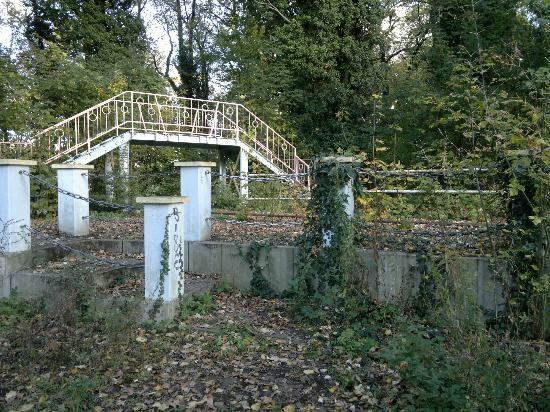 Due partly to Witte’s criminal activities and lackluster visitor numbers, Spreepark was shut down to the public in 2002. 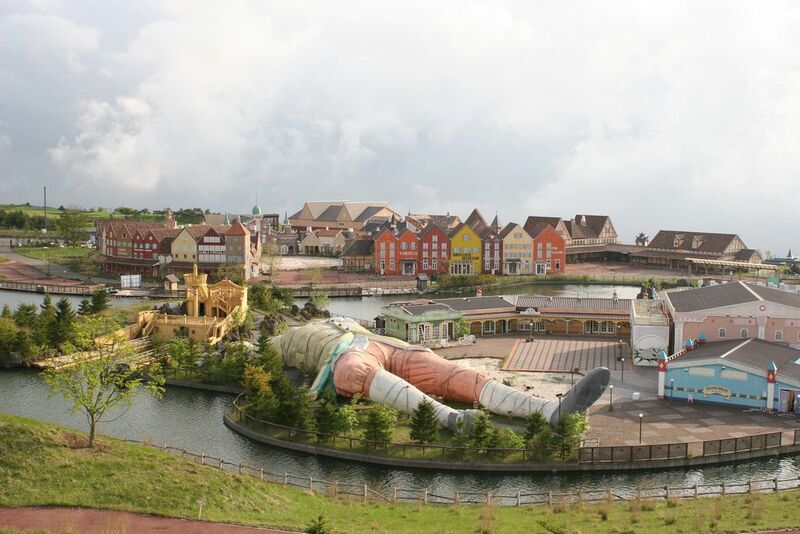 Gulliver’s Kingdom Theme Park built in the shadow of Japan’s Mt. 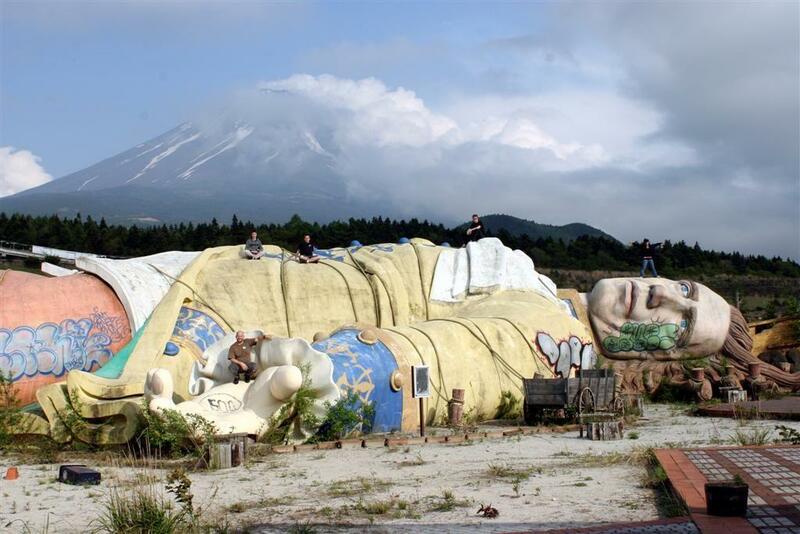 Fuji with oodles of government stimulus money existed for only ten years. The park opened in 1997 and typified the “bridge to nowhere” construction projects Japan’s government and banking sector championed in the 1990s. Though intended to boost the economy, it has created some short-term construction jobs but little permanent employment which later collapsed into a sea of red ink and toxic, non-performing loans. 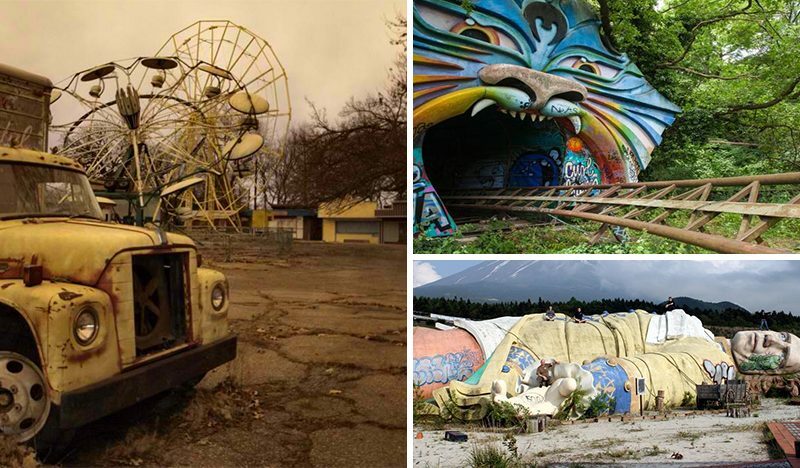 In October of 2001, the unpopular theme park shut its Brobdingnagian doors for the last time. 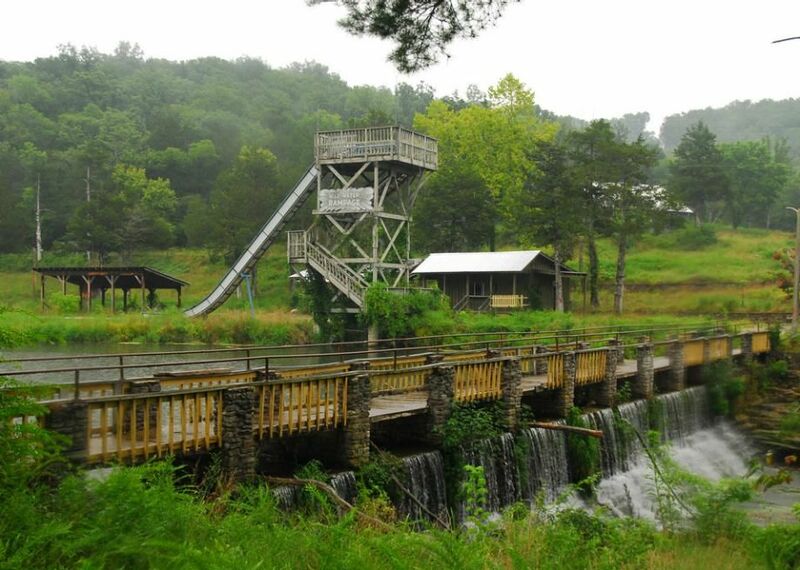 Based on Al Capp’s famous comic strip Lil Abner, Dogpatch USA was a small Arkansas theme park that capitalized on cartoonish hill folk. 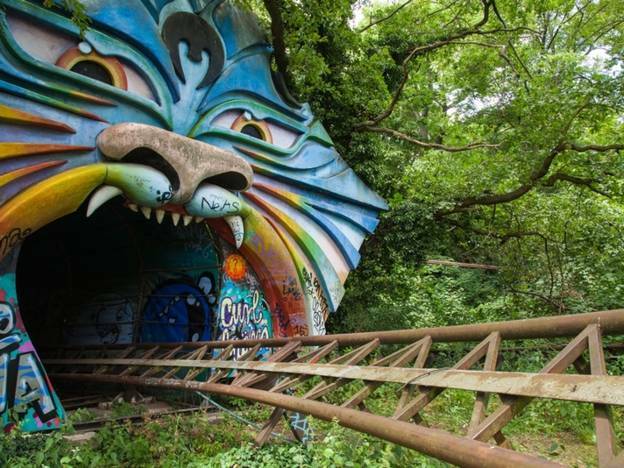 Built-in 1968 on land that already featured a cave attraction, Dogpatch USA was not as bombastic as most modern parks. Outside consultants projected that the park would attract 400,000 people in its first year alone. However, the park never attracted half that many people. 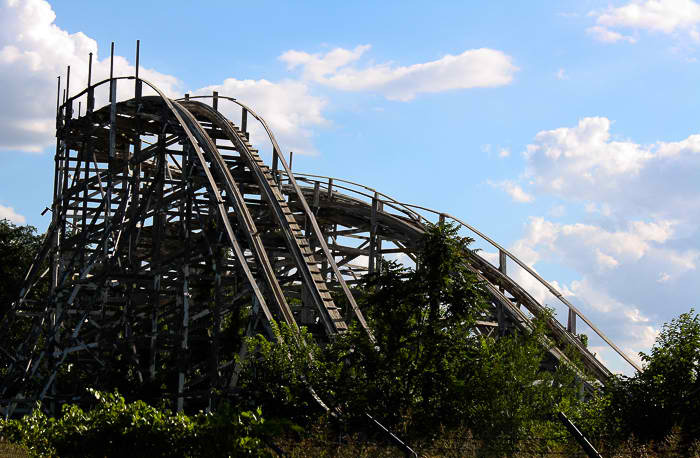 The park changed hands a number of times and lost much of its original backwoods themes in the years before its final closure in 1993. 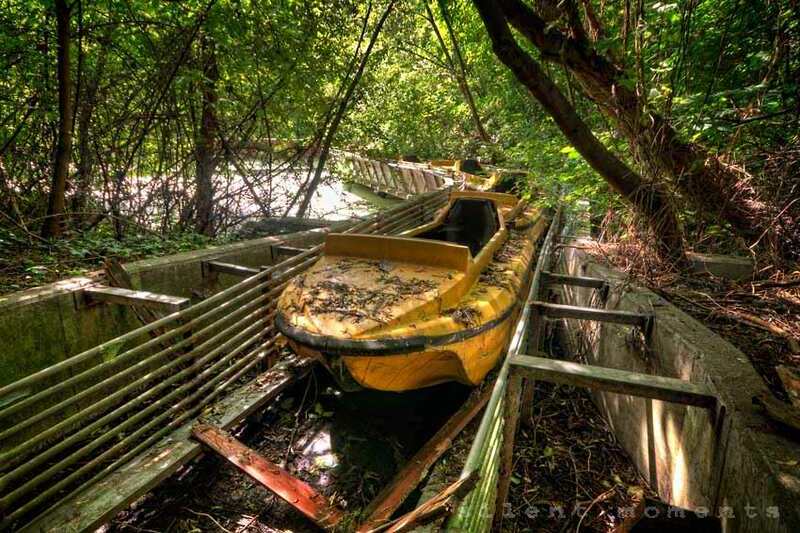 After the park closed, the grounds and remaining attractions were left to rot, and the future of the land was uncertain. 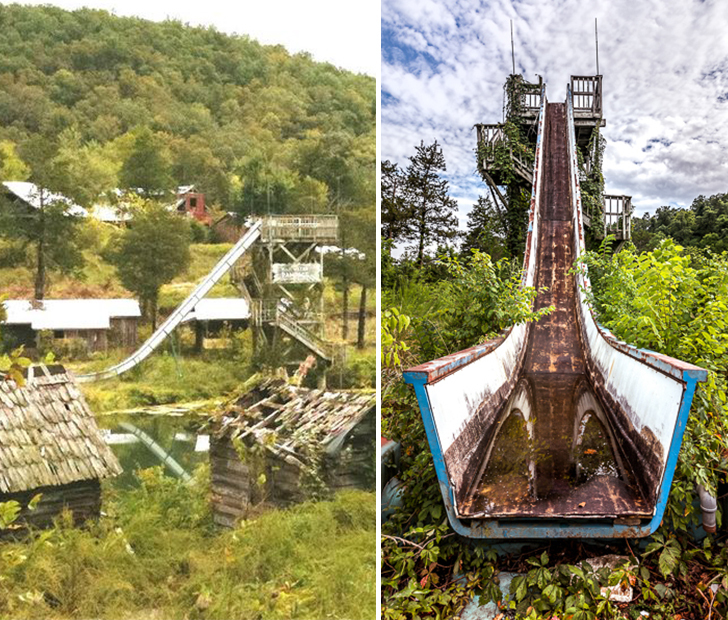 The owners actually attempted to sell the entire site on eBay for a flat million dollars, but once again the interest in the park may have been misguided as there were no bidders. 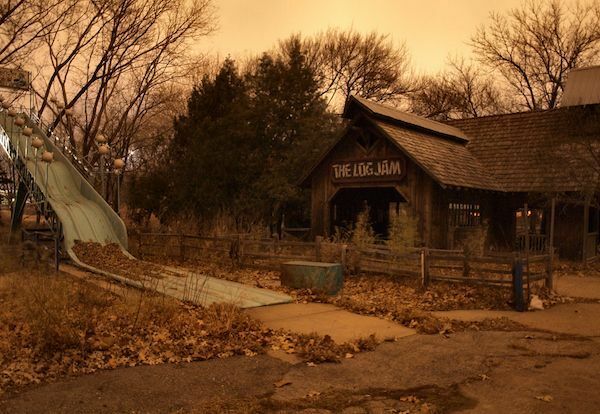 Wichita’s Joyland is located in the heartland of America. 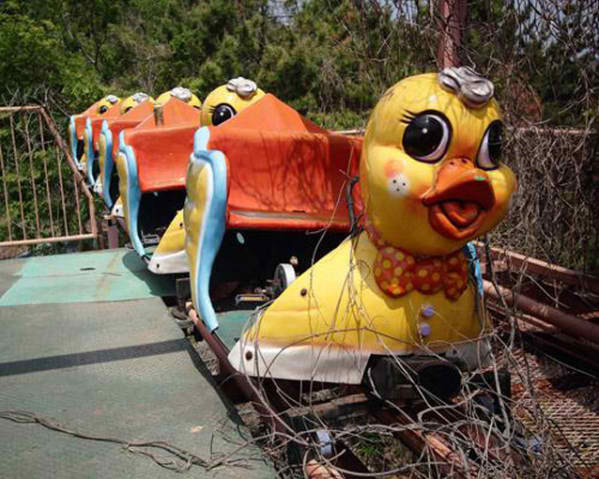 In its heyday, thousands of families from across Kansas would flock to the park. 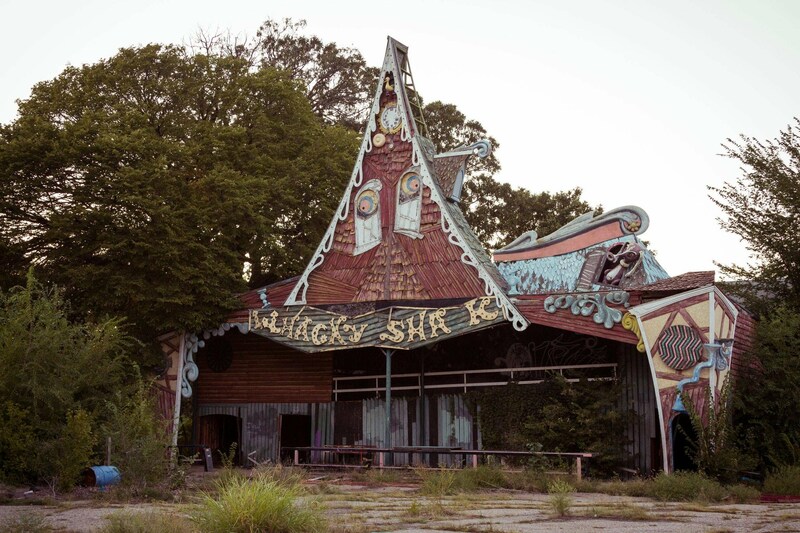 The abandoned amusement park which opened in 1949 ran continuously until it was closed in 2003 because of financial problems. 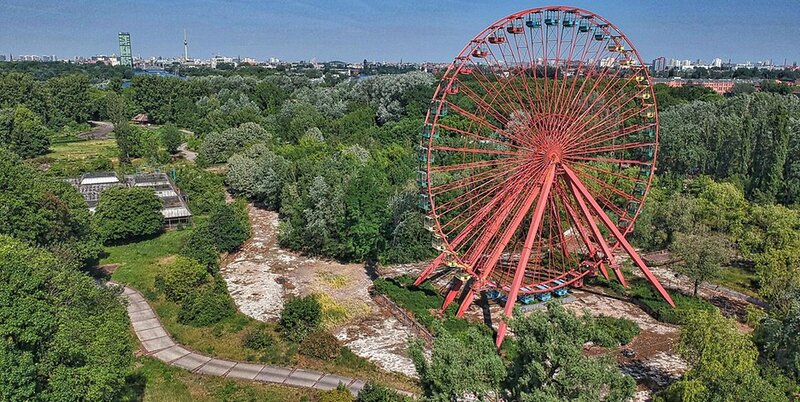 It re-opened briefly in 2006, but since then it has been left to rust away. 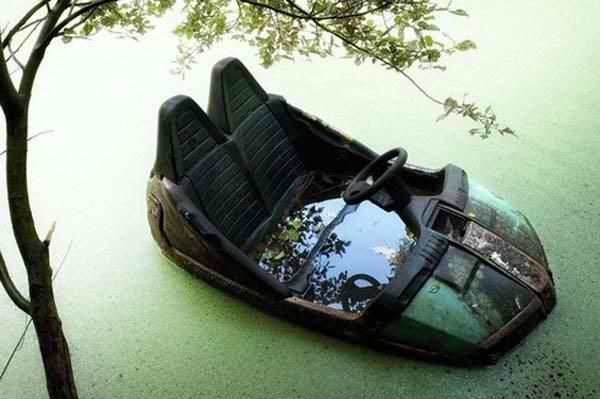 In the late 1960s, the Ottoway brothers retired and sold Joyland to Stanley and Margaret Nelson, who ran the park for more than 30 years. 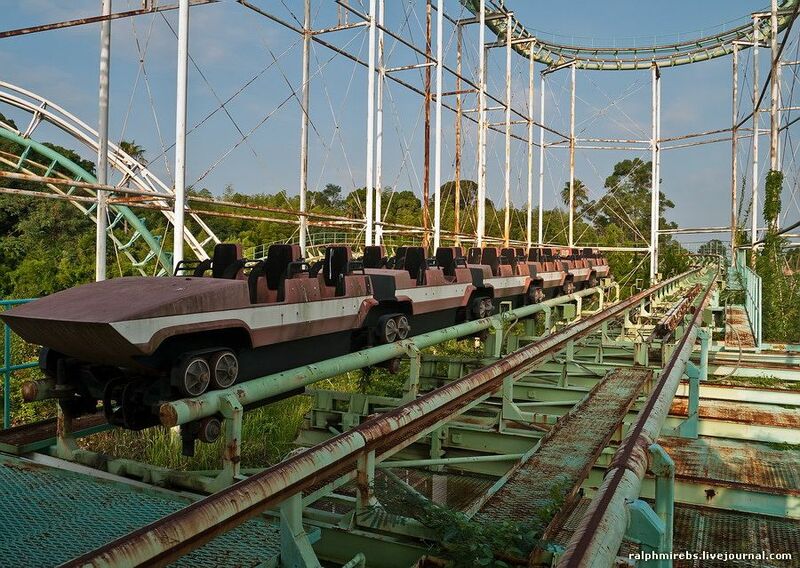 But as Joyland began to age, rides fell into disrepair and attendance dropped. 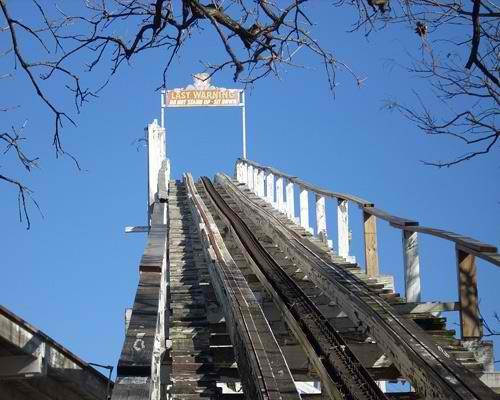 Eventually, the couple ran into financial difficulties, and in 2004 they were forced to close the park. 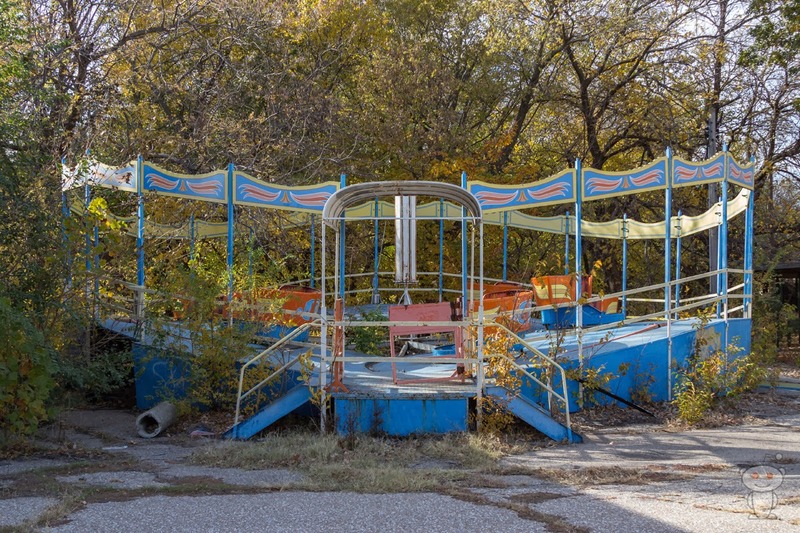 Wichita residents have made several attempts to revive the park, but so far none have succeeded. 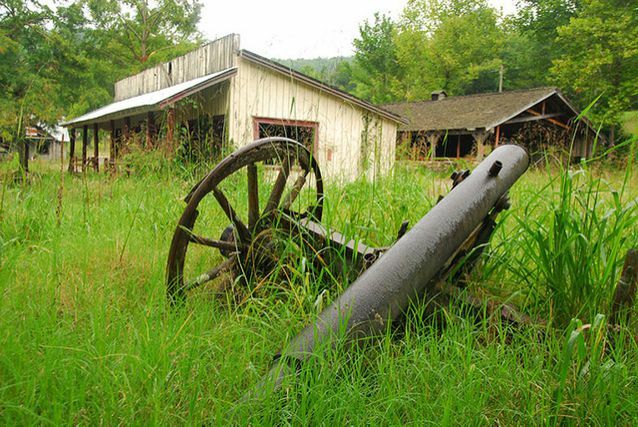 Today, the park still stands abandoned, a moving testament to a bygone era.